The UW Tacoma Library has subscribed to SelectedWorks, an add-on feature of Digital Commons which enables authors to create profiles and feature their research. Links to personal websites and blogs. Other materials, such as book review, links to editorials, or dissertations. 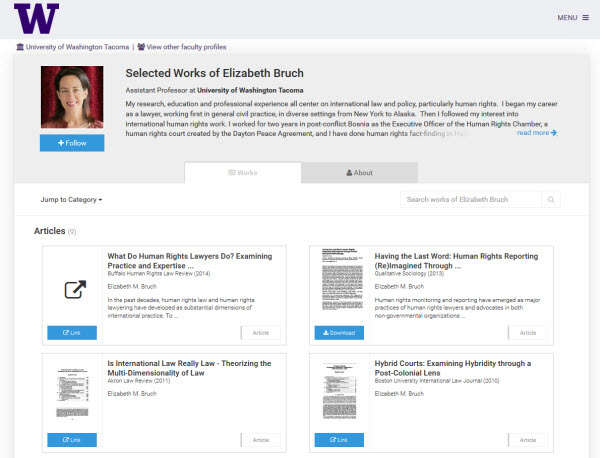 View UW Tacoma researcher profiles created SelectedWorks.